Seder is the meal that Jesus and his disciples would have eaten as they celebrated Passover on the night Jesus was arrested. 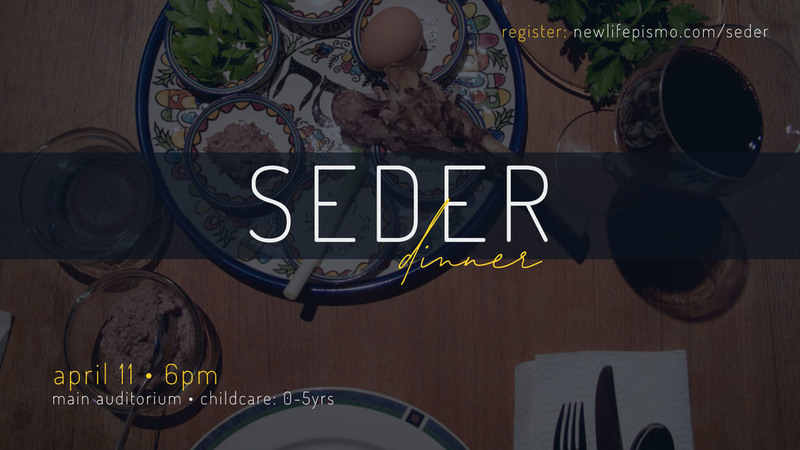 A Christian rabbi will be walking us through the symbolism and practices of the traditional Passover Seder to deepen our understanding of that meal and of how it points to Jesus. *In order to accommodate more people we will be in the main auditorium serving a modified seder dinner. It is very helpful for you to RSVP by Monday, April 8th so we can have enough elements prepared in advance. Thank you! Please note: This will not be a full dinner. It is meant to fill our souls, not our bellies.